This post contains affiliate links. Please see the disclosure on our about page for more information. Whether you plan to celebrate on February 13th or wait till the weekend, Galentine’s Day is the perfect time of year to “kick it breakfast style” with the Ann Perkins to your Leslie Knope. 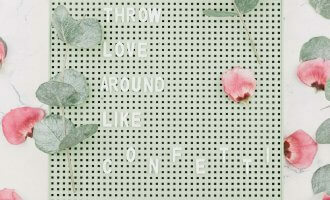 February is normally reserved for celebrating your significant other. But, why shouldn’t it also be about showing appreciation and love for the girl friends who also walk through this crazy life with you? 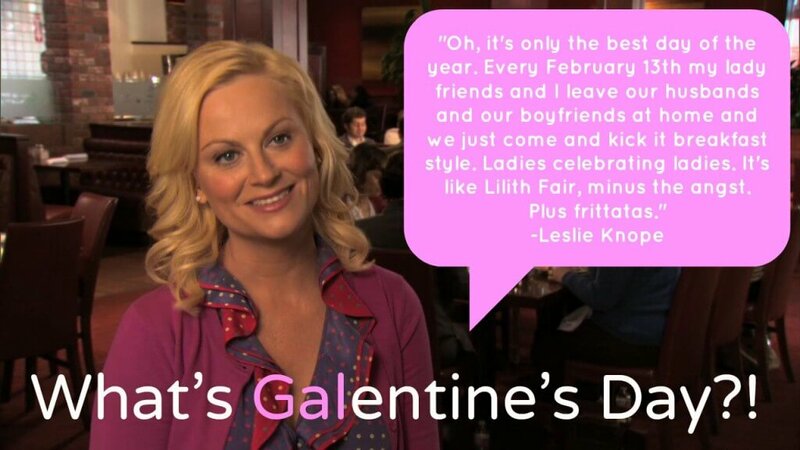 Celebrating Galentine’s Day is the perfect way to show your appreciation and celebrate your lady friends. Not to mention, it’s the perfect excuse to get together, catch up, and eat all the sprinkles. 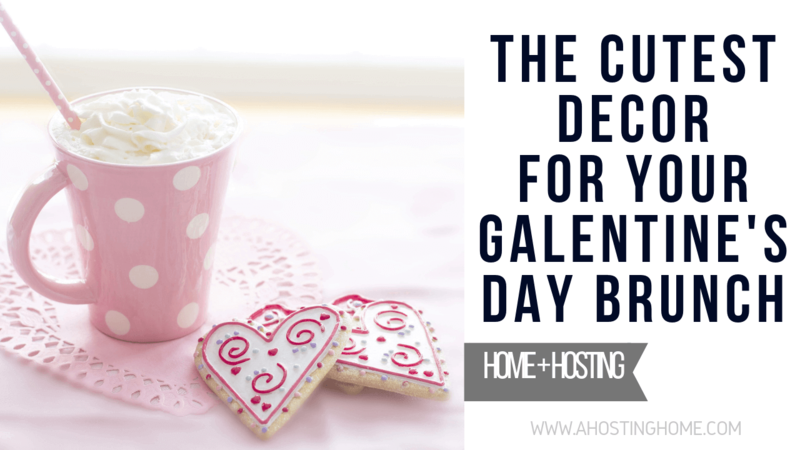 You may have already read my blog post on how to host the perfect Galentine’s Day with your girls, and you’re ready to start planning! 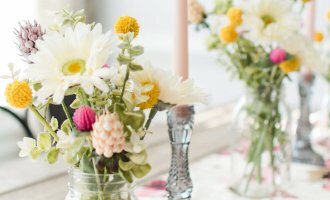 Lucky for you, today I’m sharing the cutest Galentine’s Day decor to make your dining room the cutest (and coziest!) brunch spot for your gals. Getting out of your cute pajamas is optional, and waffles are mandatory. I typically view the concept of Galentine’s Day as a cozy brunch at home filled with chick flicks, coffee, and all the sweet treats. So many women stress to find the perfect Valentine’s Day outfit for date night out with their significant other that I love the idea of making Galentine’s Day a stress-free and truly relaxing time with girlfriends. It’s stressful being a woman – especially in society today. Let’s designate one day to nothing but a brunch full of homemade lattes in cute mugs, waffles, and chick-flick marathons in our pajamas. 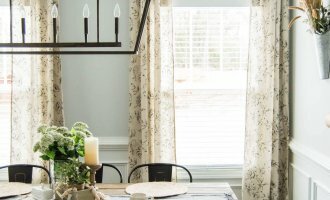 Meanwhile, you can easily take the party from the table to the couch with the cutest (and coziest!) heart pillows and blankets to sink into during a movie marathon. Take cute selfies during the movie with your new letter board featuring funny quotes, and you’ve got the perfect girls day! I’ll admit, I didn’t think of this idea. But, I love it! How perfect would Galentine’s Day be if you and your gal pals each got to go home with a swag bag of goodies? 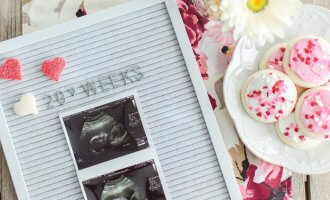 One fun Galentine’s Day party idea that is sure to show your gals how much you appreciate one another is to have a favorite things gift exchange! How it works is that each gal brings one of her favorite things from the past year to share with the rest of the group. So if I loved this new lip balm or bronzer that I discovered in the past year, I’d bring one for each other gal at the party. (It may work best to have a price limit on each favorite thing so each person isn’t spending a ton of money!) At the end of the party, all your gals will go home with a bag of goodies. How fun is that! 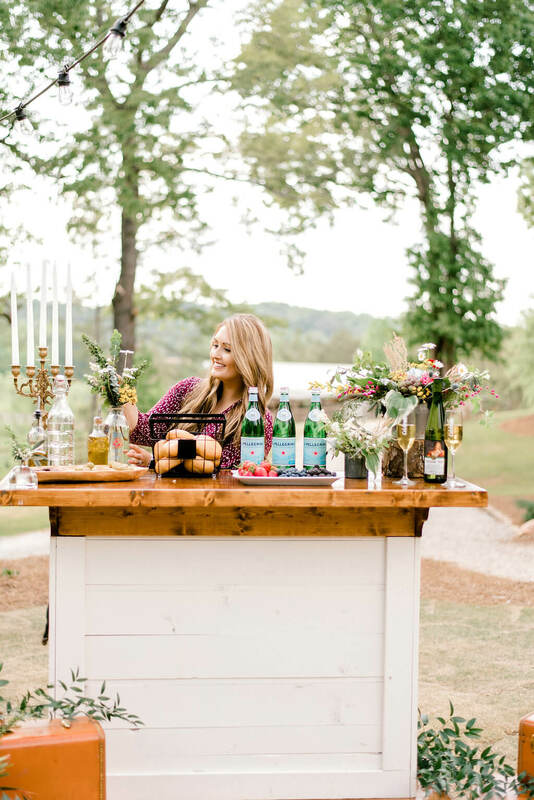 Are you hosting a Galentine’s Day get together with your gals this year? Tell me your plans in a comment below!